Screenshot of this week's North Coast Journal. 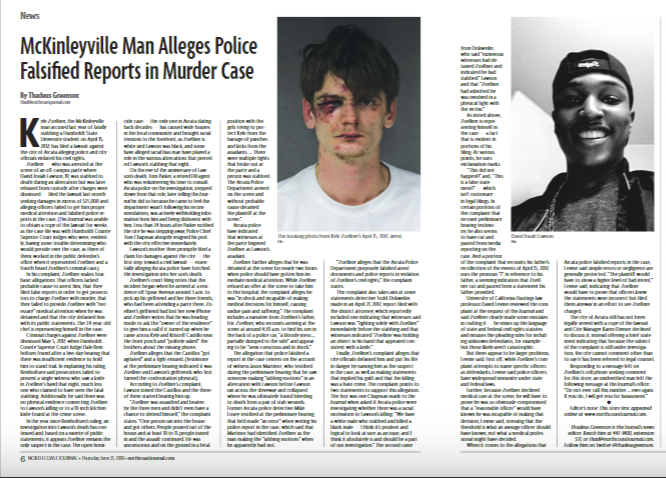 The lawsuit seeks over $25,000 in damages and also alleges officers failed to get him proper medical attention and falsified police reports in the criminal case. The North Coast Journal's Thadeous Greenson talks about this story. 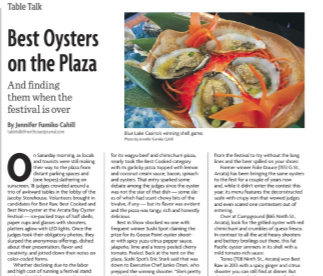 And in Arts and Entertainment, Jennifer Fumiko Cahill takes this week's Table Talk to the judges corner as she taste tested the plethora of food at Oyster Fest. KHSU Magazine with the North Coast Journal for June 20, 2018.